Beginner here is quite a conventional concept. 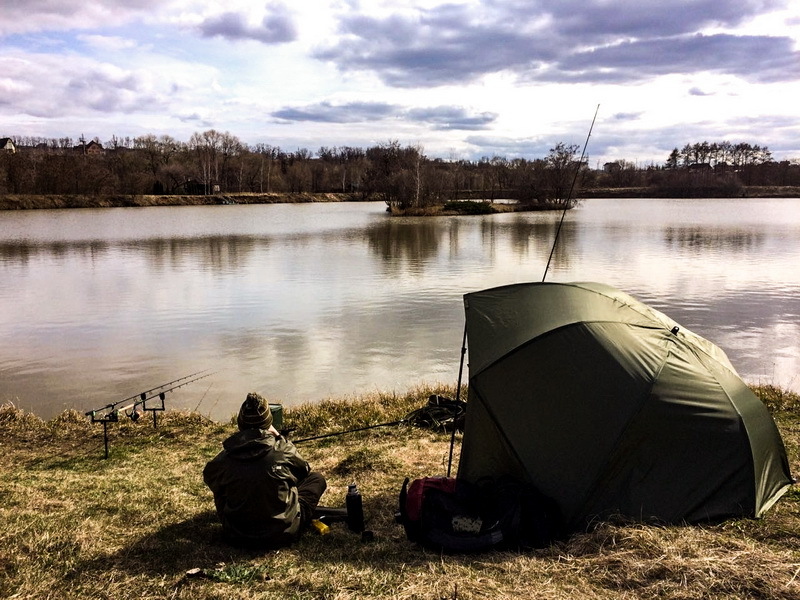 Fishing is the process of constant learning and experiments, so both the person who has just bought a feeder and the person who has been fishing for 2 seasons can say that he is a beginner. I do not like the concept “flat feeder beginner” because then there should be also “flat feeder finisher”. But I will apply it to those anglers who are still thinking of buying feeder or have just started to fish with its help. This article is a quick look at what you will face at the early stage. Flat Feeder is quite a new direction in fishing which does not have rules designed by international sports organizations now because it is not an official event. The main unofficial rule is the careful attitude to the caught fish and following the “catch and release” principle. What do we need to know to fish successfully with the flat? What do we need to have to fish with the flat? Right information and constant learning are really crucial. Speaking about flat feeder, we always mean fishing for 24 hours or only one light day. You need to do a lot during those time and if you have done all the “homework” before fishing well, you will have a successful session. Read new reports, speak with anglers and the guards of the reservoir, choose popular places, think of the best time to start fishing. All in all, try to make your task as simple as possible in the first stage. The strategy of fishing, choice of equipment and bait for the particular session depends on the quality of the information you get. 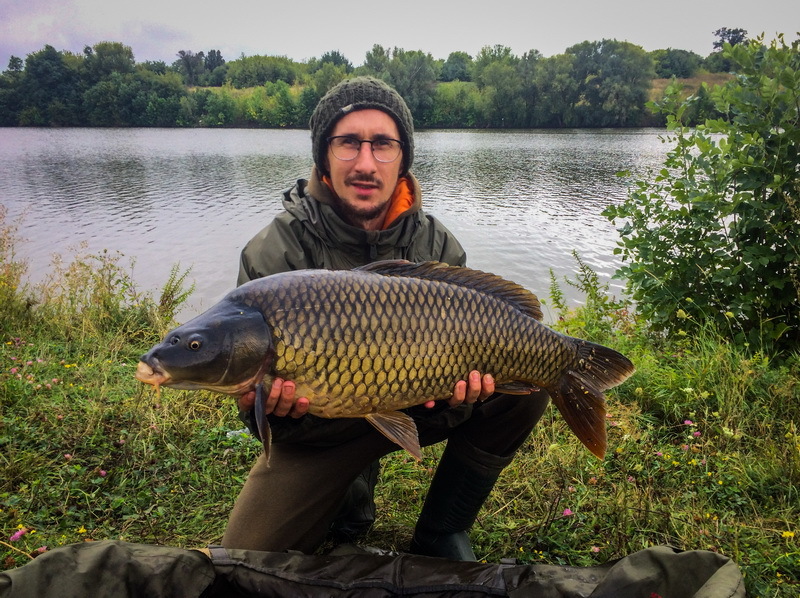 Communication with other anglers is also important – be sociable, visit webinars, lections, tournaments, festivals, meet experienced anglers and your knowledge will grow quicker. If speaking about angler at the early stage, he also chooses the rig rationally, judiciously, try to stick to the traditional platform. But it is not always right. More precisely, the apparatus is chosen “correctly”, but not for your conditions of fishing or your opportunities, but only based on good reviews or correct advertising. It is an inevitable process that everyone must go through. I will tell you a trivial thing: we can fish successfully with any rig which you can afford to buy. The main thing here is quality, functions and convenience. If you do not have a restricted budget, then buy the best rig. But the question is which of them are the best. RODS. For amateur fishing with a flat, it is enough to have two rods. They may be two similar rods or two different – so to say, for different conditions. Talking about my own experience, you should have a rod which works on the distance of 80-120 meters – these are 3,90 or 4,20 meters blanks with the 120-180 grams test. It is the usually powerful conservative rod which allows to cast further and to control large fish. I’m speaking about so-called Extra Heavy Feeder which can be also used for spomb or marker. For “English” reservoirs with small fish (up to 4 kg), you can buy shorter and lighter blank with the length of 3,60 or even 3,00. But for beginners who want to take part in sport flat feeder competitions in the future, I would recommend government two similar blanks with the length of 3,90 or 4,20 and 150-180 grams test. REELS. It is enough to have two reels for amateur fishing with the flat. If the rods are the same, the coils should also be similar. It gives you some advantages. During the process of fishing, while casts and playing, you do not need to switch to another “rod-reel” pair even if you work on different distances. It will be easier to control the range if you know the number of rotations. For example, on the reel with a cord, you can pierce a hole in the bottom, find an exciting place and count the number of rotations. Second rod with the line you can regulate to the same name and start fishing. 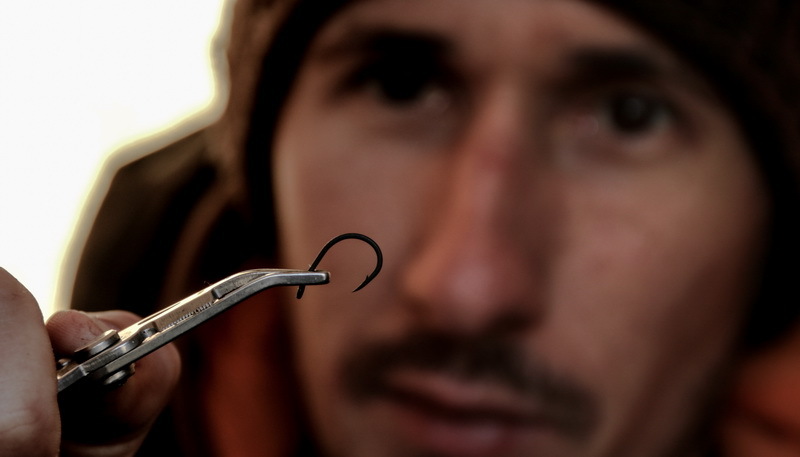 This method is not accurate, but it is the quick and easy way to fish in the right place. And the last but not least, twoness is more beautiful, and it is profitable if you would like to sell them. There is no particular reel for the flat feeder, so it is quite challenging to find the suitable one. Feeder and spinning reels are appropriate, but they are too delicate, often have too long friction and small sheave. Carp reels are usually too big and bulky. 500-650 grams reel with additional sheave and medium or quick front friction will be the best option. I have chosen carp reels Daiwa Crosscast. LINE AND CORD. You can fish both with fishing line or cord if the second one is not prohibited on the reservoir or competition. The difference is simple – line is extensible, it is sinking and distend less during the cast. Thanks to soft feeder rod and extensibility of the line it can be challenging to catch near the brush when you need to force the fish, but it is the only disadvantage. In severe cases, you can use the less extensible line with the big diameter of 0,30-0,35 or braided cord. Cord does not stretch a lot so you can see every bite of small or inactive fish and also you can force the carp or grass carp when fishing near the bush. Cord never forgives mistakes when catching large fish. However, a flexible feeder rod compensates this. I have such advice. 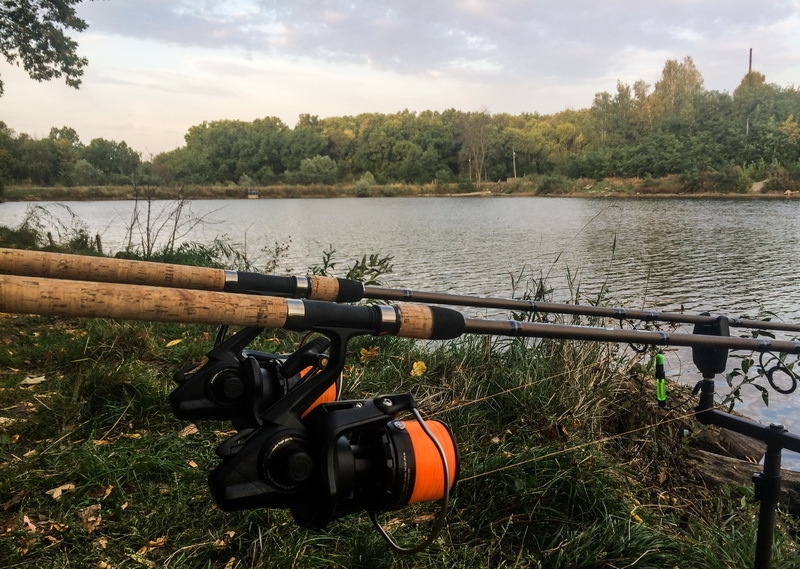 If you have two similar reels with one additional sheave – the optimal option will be to use this line (0,22-0,23) for long casts on main sheaves and 0,30 line for other sheaves for fishing in bushes. Use braided cord (0,16-0,18) for coding or fisheries under challenging conditions. For long casts with thin lines, you need to tie a shock leader with the maximum strength of 25-30 lb. This set will help in most situations on our reservoirs. FEEDERS FOR FLAT FEEDER. Nowadays there are a lot of them and it is better to have different sizes, weights and shapes. Then you will choose the best which are suitable for your conditions. It just wants to tell that we choose feeders depending on the bottom type and distance. So we need 30 grams feeders for the muddy bottom and 80-100 grams feeders for long distances. 50-60 grams feeder will be a universal option with medium feeding capacity. But I want to tell again, you need to have different weights. HOOKS AND TRACES. 10-8-6 sizes are the main for the flat feeder. The main thing is that the hook should be sharp, affordable and be available in shops in necessary quantities. I prefer Wide Gape shape, but Curve Shank shape is also popular. Choose soft trace with the maximum strength of 12-15 lb and 10cm length. FODDER AND BAITS. Food in the feeder plays the most critical role in the flat feeder fishing. Buy special method fodders; they have an optimal faction, stackability and mechanics. We usually use 8-10-12 size baits. 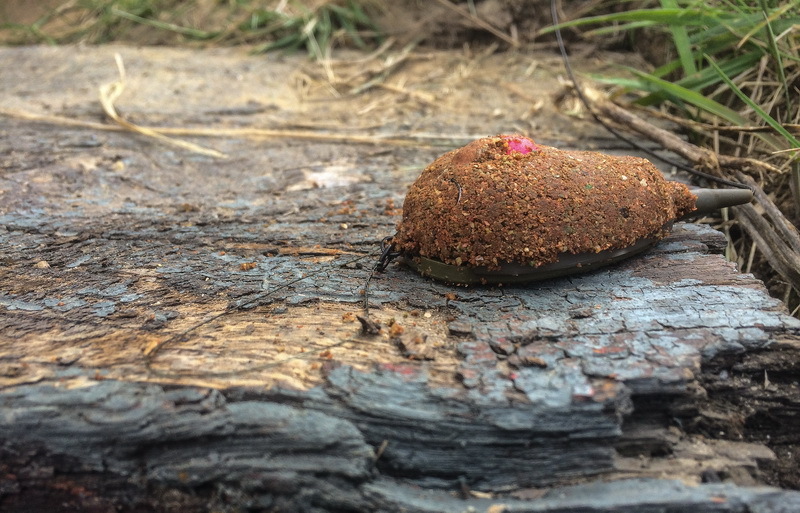 They may be pop-ups, bottom boilies and pellets. Of course, you can combine them, choosing the suitable presentation of the bait. Favourite combinations of the baits: sweet canned + flavoured rubber corn, bottom long dissolving boilies + a half of pop up. 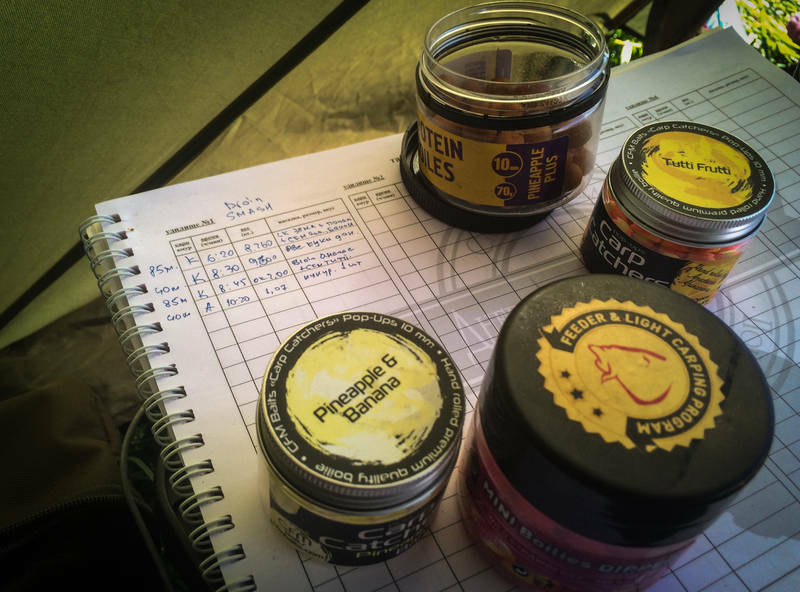 What about flavours, the angler has a freedom to choose, to understand the carp tastes. To start, I advise you 5-6 pop-ups (10 mm) with different colours and flavours (yellow, pink, white, two-coloured, sweet, fruit, fish, species), nozzle pellets + dip corn (yellow, pink, white). It will be enough to have this set, but I know that you will have a full bag of them. TOOLS. At the early stage, try not to invest money in such items of equipment as a tent, cot, rod-pod. Indeed, fishing comfort plays an important role, but what exactly you will need will become clear after at least one full season. Since the flat feeder is considered a dynamic type of fishing, a simple set will be enough for short sessions. The speed and ease of installation of equipment in a short course are critical. Do not forget about energy demands. Put everything in the car, put out, transfer layout and you have only 24 hours to do it. And you need to have every for fishing. For example, use the easy-to-gather shelter in spite of tent, comfortable chair in spite of cot. Some 10liters buckets like Fox CAMO SQUARE BUCKETS can change fitted on table and bag for transferring. When choosing a net and mat, pay attention to their size and drying speed. There are quick strike mats like FOX easy mat and foldable net which do not take much space like Korum FOLDING SPOON NET. 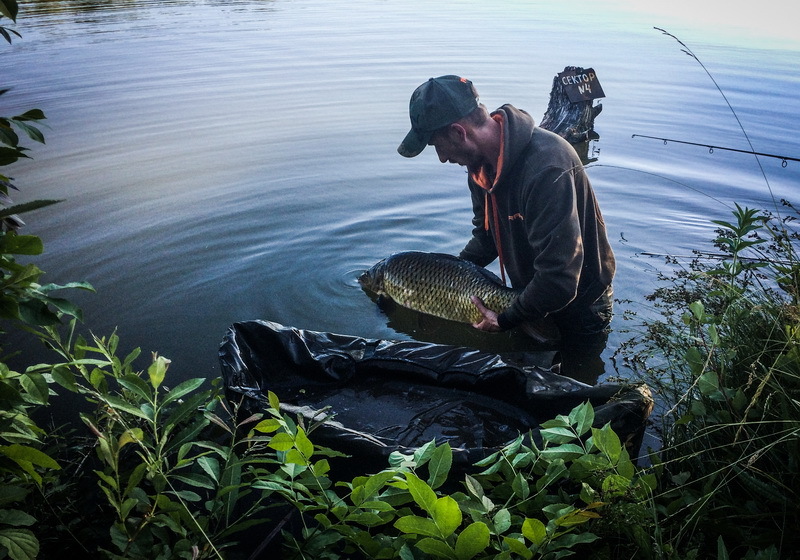 Some anglers who used to fish with the classic feeder, usually use a feeder arm on the chair and spend so most of the fishing. 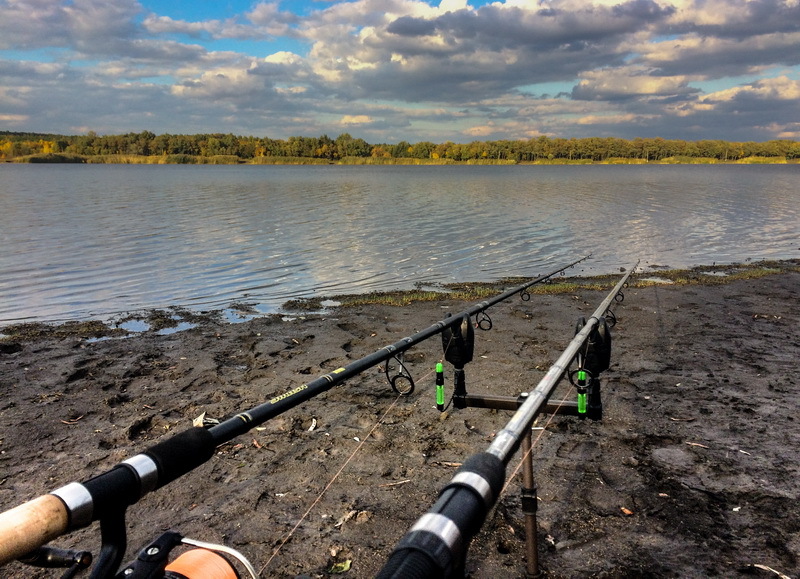 I prefer to install the rods near the water’s edge on the racks and to stay close but in more comfortable conditions. And no one prohibits to use bait detectors for the flat feeder. In conclusion of our quick look on flat feeders, I would like to emphasise the critical moment. When beginning your flat feeder way, anglers spend most time choosing equipment, looking for the best bait, starting to understand the different types of carbon fibre used to make fishing rods. But the most important thing is to learn the tactics and technics of fishing: choice of a place, accurate casting skills, adequately connected installation.